Advent began last Sunday. 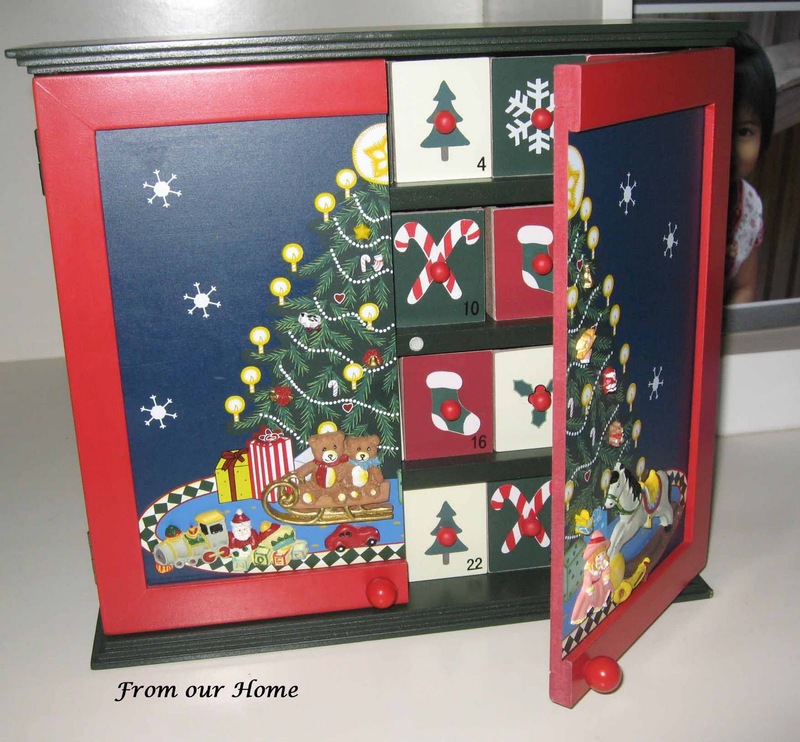 I finally managed to work out the little cards and chocolates that I want to place in our family Advent calendar box. On each card are activities that my two girls can do, nothing too challenging. Some of the little boxes have little choc squares in them. I felt it is important that the boxes were not just filled with chocolate or lollies. Each morning, Ashleigh and Caitlin enjoy opening the drawer for the day and find out what's inside. That's part of our family tradition to prepare for Christmas. Do you have a family tradition at Christmas time? I love to hear about it. Looks like a nice, colourful advent calendar. The only problem is my son would eat all the chocs on the first day! Yes, my Quay Lo has a Christmas tradition, that is we eat stollen in the morning for breakfast and then attack the christmas gifts. 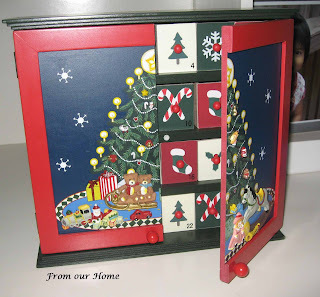 Also, his daughter will always give him a box of chocolate coated cherries on Christmas day and that was what he used to give his parents when they were still alive:D I like your tradition of the Advent Calendar box. Looks like fun and I am sure your girls love checking them everyday.